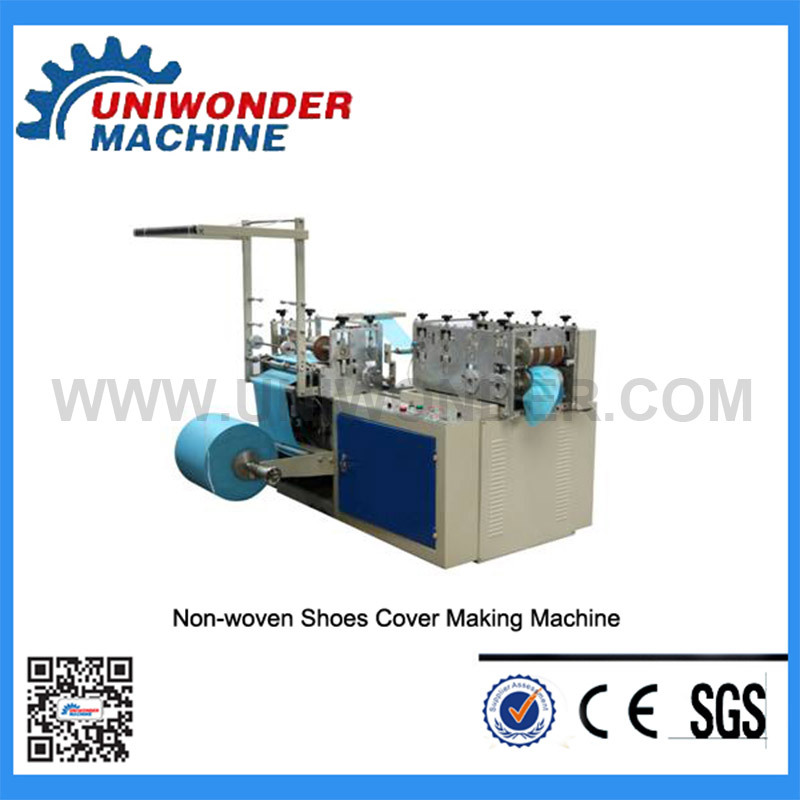 The non-woven shoe cover machine is economical, practical, energy-saving and environmentally friendly. It does not waste power resources through compact mechanical design, and meets the consumption concept of modern users with low carbon and environmental protection. As a Shoes Cover Making Machine Supplier, take a look at it today. 1. When installing the shoe cover, pay attention to the length and width direction of the shoe cover corresponding to the length and width direction of the machine. If the length and width are reversed, the shoe cannot be put into the T-shaped bayonet. 2. When there is still a shoe cover in the machine, if you want to install a shoe cover, you must push the top of the corresponding T-shaped button to push the new shoe cover down, otherwise the hard push may damage the machine. 3. The shoe cover should not be worn with a certain angle, and each time a shoe cover is installed, the wire tied to the shoe cover must be removed in time. 4. When using the shoe cover for the first time, check whether the top buckle in the T-shaped bayonet of the machine is pulled out by about one millimeter. 5. When using, you should use a little force to step on the bottom of the machine. If you step on half or too much, it may affect the release of the shoe cover. 6. After the Non Woven Shoes Cover Making Machine has been used for a long time, if the slider does not slide smoothly, you can apply a little oil in the chute to reduce the friction. 7. In order to ensure accurate outsets, the shoe set should not be placed on the machine for too long, and it is best to use it immediately.